Our Most Affordable Princess Castle Bed! - We're excited to offer a new option for our purple and blue princess castle bed. By eliminating the top tent, we can make the bed more affordable. We know how much little kids love our purple and blue princess castle beds, so it's exciting to make it a possibility for more families. It's the same quality, solid wood bed that has made Maxtrix Kids our best selling furniture line. It's simply a purple and blue mini version that's more affordable. Of course, we kept all the fun. The Mini Princess Castle Bed still includes the slide (the most important part), the royal castle tower with flag, and the playhouse under the bed. Who knew affordable could be so much fun! We hope you love this new option. Customize this Maxtrix Bed. 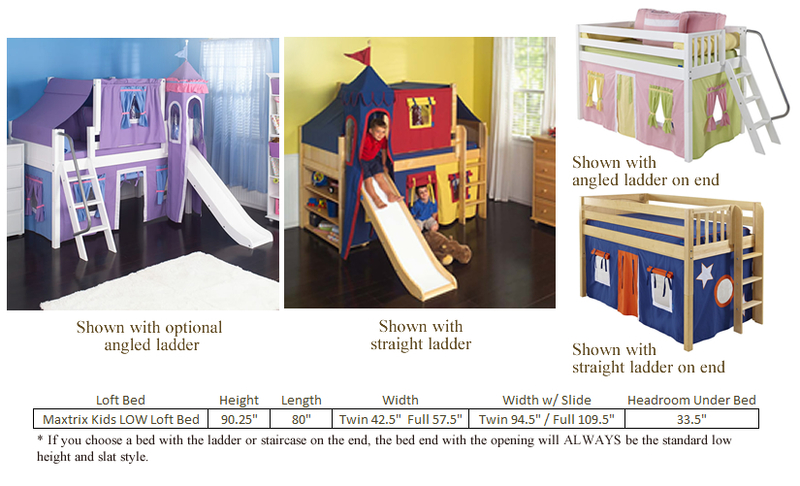 Full Description Our Most Affordable Princess Castle Bed! 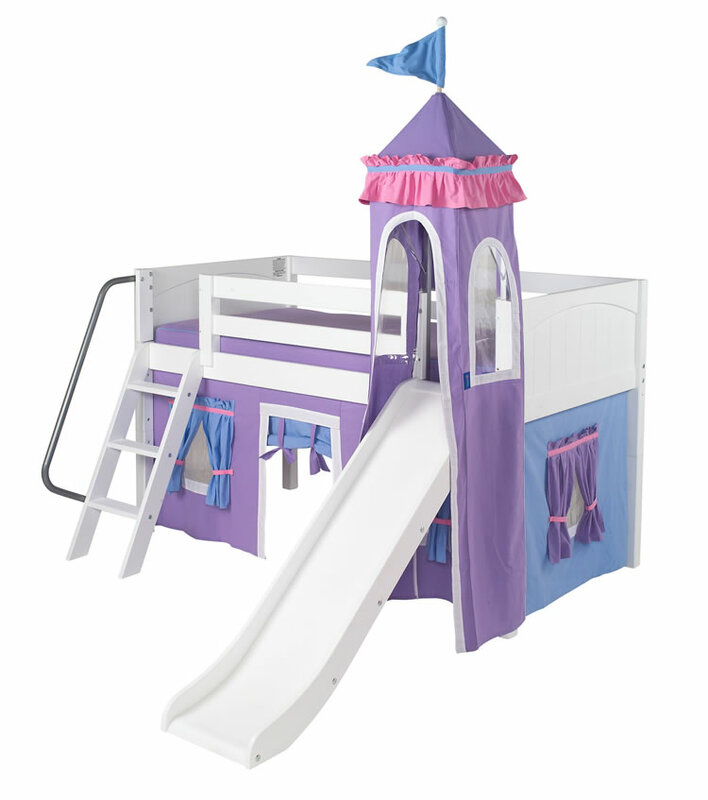 - We're excited to offer a new option for our purple and blue princess castle bed. By eliminating the top tent, we can make the bed more affordable. We know how much little kids love our purple and blue princess castle beds, so it's exciting to make it a possibility for more families. It's the same quality, solid wood bed that has made Maxtrix Kids our best selling furniture line. It's simply a purple and blue mini version that's more affordable. Of course, we kept all the fun. The Mini Princess Castle Bed still includes the slide (the most important part), the royal castle tower with flag, and the playhouse under the bed. Who knew affordable could be so much fun! We hope you love this new option. Customize this Maxtrix Bed.